Miniature golf has become a tourist attraction all onto itself any time you visit the Cape May area in New Jersey. It's a great family-friendly activity that everyone can enjoy and it's affordable too! The best time to play mini golf is late in the morning (before lunchtime) or early in the evening when temperatures are cooler. * Sunset Beach Mini Golf - This one is located right on Sunset Beach and has beautiful views of the bay and ocean. It's an 18-hole golf course with nearby gift shops and the Sunset Beach Grille is only a few feet away if you want to grab a bite to eat. This one is one of our favorites and we always try to play at sunset so we can get beautiful views of the sun setting out over the water. 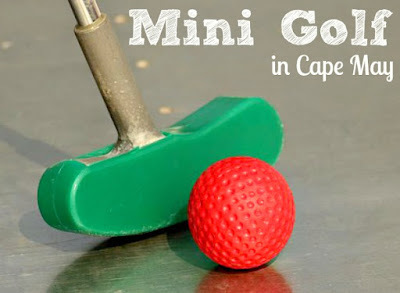 * Cape May Miniature Golf - This one is connected to the Cocomoe's Premium Ice Cream Parlor and is a really nice place to play. One of the things we love about this one is the play-thru waterfall cave which is absolutely gorgeous! This 18-hole golf course has some challenging holes so it's great for the kids and the adults to enjoy. Every time we visit this one, we always enjoy a good ice cream cone after we are done. * Ocean Putt Miniature Golf - This one is located right off the beachfront area and has 18-holes. This one is really fun and can be a challenging course for some. Their obstacles are fun, animated and whimsical which I really like. If you like a creative course with fun obstacles to get through, this one would be your best bet! It's located at 401 Beach Drive in Cape May. All three of these mini golf courses in Cape May are fun to play and uniquely different. We highly suggest that you visit each one to figure out which one will become your personal favorite. There are a few others in the area but these three are our particular favorites. I like the idea of,the waterfall cave and afterwards the ice Cream parlor. 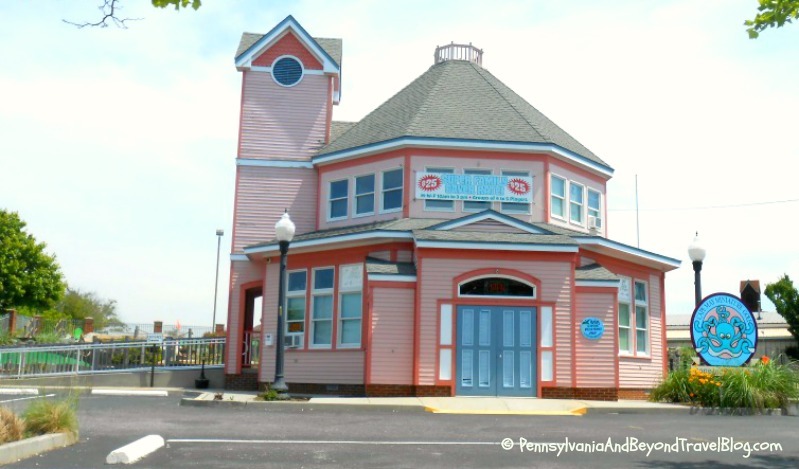 my son has gone to Cape May to visit friends and I shall ask him if he knows these places.